Design an Atari 2600 Cartridge based on a Twilight Zone epsiode. The idea is to get the right font (Atari Age is great for this) based on the classic Atari 2600 box covers. What’s more, there are some great templates for the Atari cartridges available online. 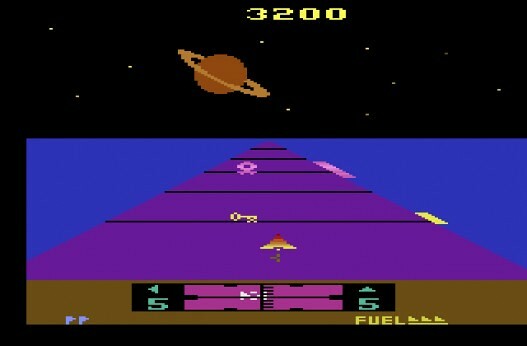 Also, be sure to create a graphic of what the Atari game might look like. 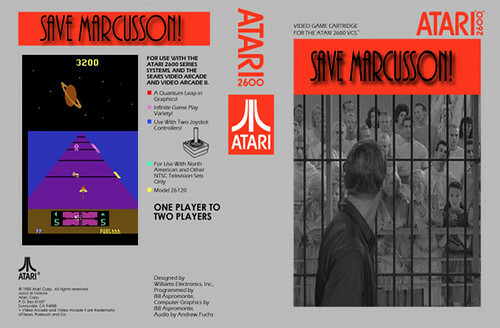 The object of this game is as straightforward as it gets, as players try to get Roddy McDowall’s character from this episode, Sam Conrad, back to Earth from his cage on Mars, making sure to find his partner, revive him, and ultimately save his life at the end, hence the title, “Save Marcusson!” The reason behind the name change is that in the original episode, Warren Marcusson, played by Paul Comi, dies when his spaceship reaches Mars, leaving only Conrad to become the “Earth creature in its native habitat” by episode’s end; at the start of the game, Conrad finds out that Marcusson didn’t die after all, hence the race against the clock to save both Marcusson, and Conrad, from the Martians. 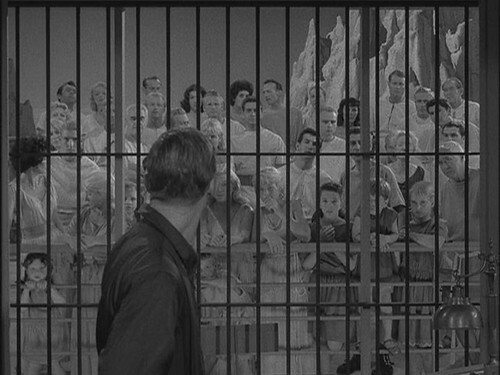 …and this was stretched out for the back cover. Before we continue, I would like to mention that, at the time of downloading, all three pictures were in the public domain, according to Bing Images. As for how I made the cover for this, it was basically a matter of cut and paste. 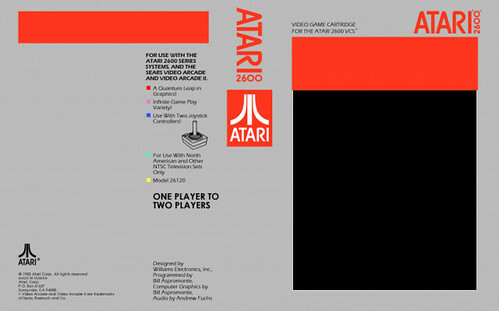 It was easy enough to find the necessary template to make an Atari 2600 game cover, to say nothing of the cover image, taken from the episode itself, or the title font, chosen because I wanted this game to stand out a bit differently, compared to normal Atari releases of the time; my research indicated that not all of Atari’s releases followed their templates exactly, after all. In all honesty, I believe that if a product can’t be sold on its own merits, let alone those of others, it doesn’t deserve to be made, at all. The graphics on the back cover were easy to find on the public domain, thanks to Bing Images, and I uploaded it just as fast as the rest of my source material. As soon as everything was uploaded, I edited them to fit each section, accordingly. I adjusted the gameplay snapshot to fill out the back cover without overlapping anything else, and made sure that the episode image could fit over the blank space underneath the title, completing the assignment from there. Once I was satisfied with the final product, I uploaded it onto Flickr, for a new total of six stars, out of twelve for the week.